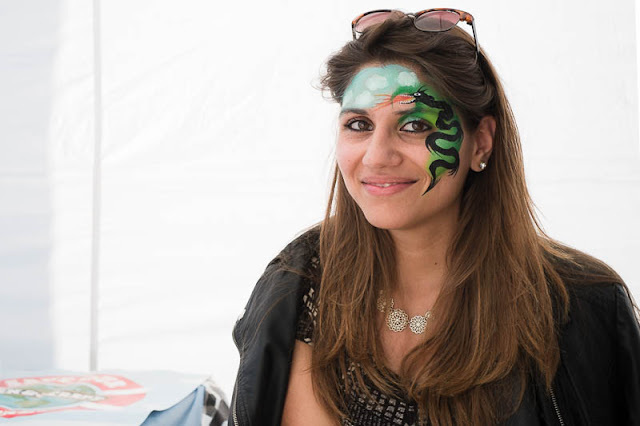 Grown up face painting...an example of the art at the Ben & Jerry out door movie pop-up event (see yesterday's post). I am probably a bit too grown up, but your portrait is quite good! You don't see that done on adults... I think this is a first. That's petty fun. It looks good on her. Grown up face painting? What is the world coming to?